Like a lot of people I have been completely obsessed with Mark Ronson's Uptown Funk for a little while now. It is so blinkin' catchy, I can't take it! I'm waiting to overplay it to the point that it becomes super annoying but I'm not there yet. This mani was inspired by the retro video. 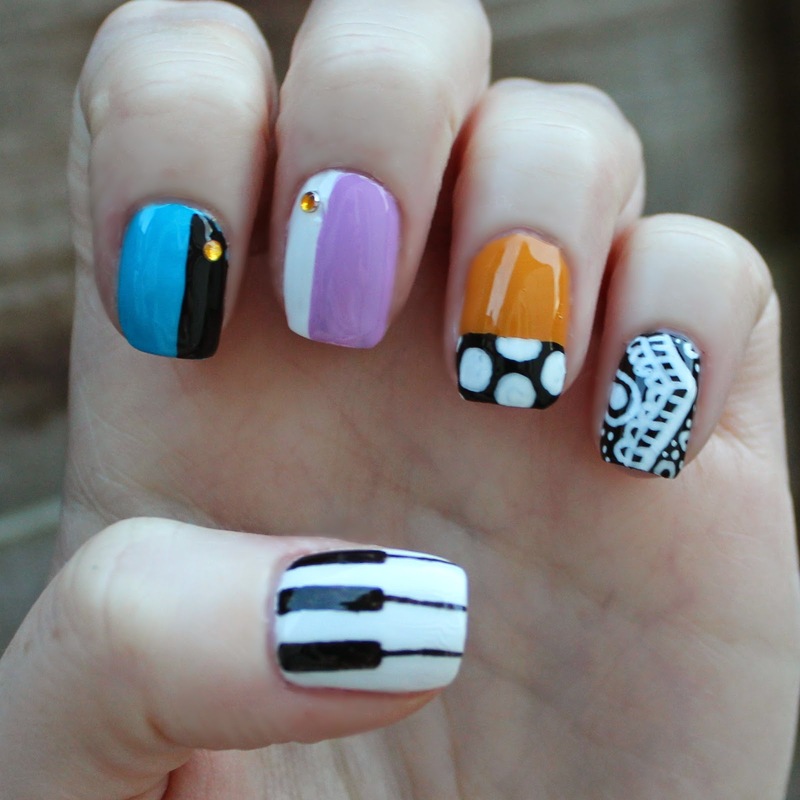 As soon as I saw it my mind went into overdrive for nail art ideas as there are so many prints and colours. The vision I had for this look was completely different to what I ended up with but it worked out OK. I wish the bandana print on my pinkie had come out better but you get the drift. Anyone else obsessed by this tune?